Leaver’s Assembly took place on the morning of Thursday 20th July to say goodbye to the Year 6’s and wish them lots of luck and best wishes as they move into Year 7 in September. 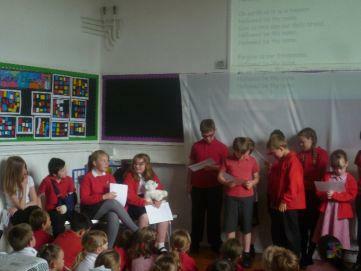 Class 1 each read out a farewell message to their chosen Year 6. Class 2 sang a special song ‘You’ve Got a Friend in Me’ and also read out their favourite memories of the Year 6’s time at Bradford. Sophia, Conrad, Layla & Ayesha then spoke of their time at school recalling the best things that had happened and the friends they had made. 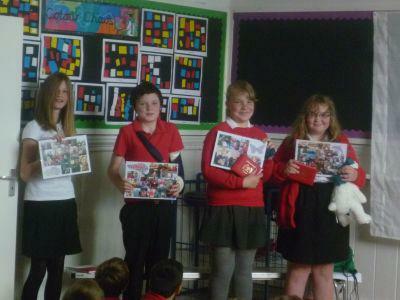 Leaving gifts were given to the children including a bible from the Black Torrington Benefice. The assembly was finished off with refreshments provided from FOBs.